The chase for an affordable foundation has been stopped temporarily! If you have read a couple of blog’s ago, you know I have been looking for an affordable brand of foundation that I could alternate and use more often then my high end Estee Lauder. 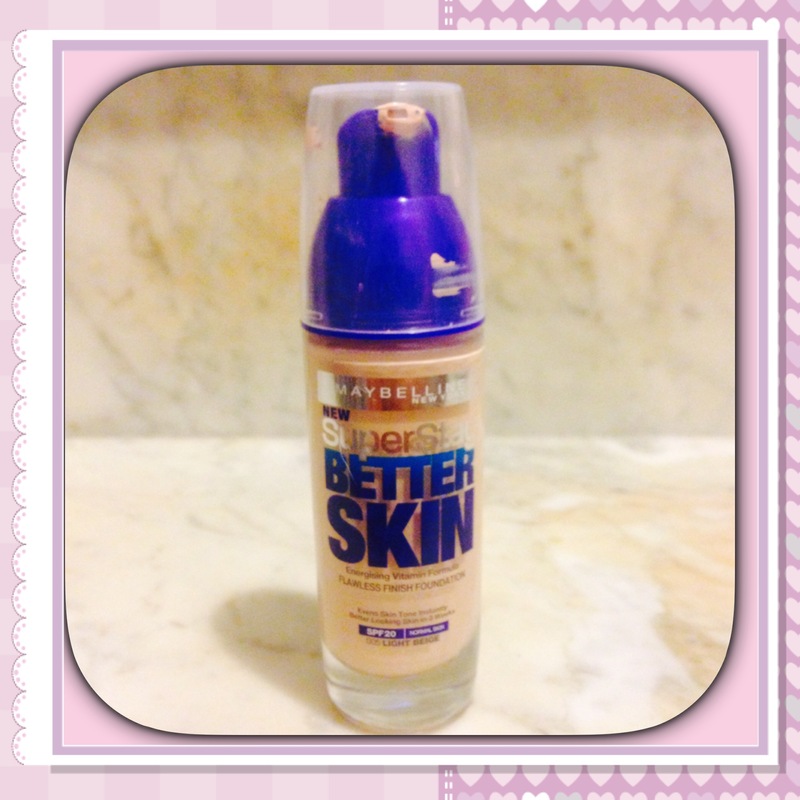 Although the Estee Lauder is still my number one Love and on another level completely, the Maybelline Better Skin has been pretty impressive for several reasons. First and foremost this cost EUR10 from my favourite on-line store feelunique.com. They have a wide range of shades to suit an array of skin tones. Going back to the first point it is EUR10! I mean for the results it gives you, you cant really beat that price tag. The packaging, it comes in a glass bottle, which I absolutely love as it feels solid and personally I prefer foundation to be in glass. It also comes with a handy pump applicator, which avoids unnecessary make up mishaps and also to handle the amount more precisely. The product itself, my skin tone is pretty light so I went for the Light Beige in 005. The texture of the foundation is very soft , not runny and settles on your skin gradually. This is a semi full coverage foundation, so best for the day as it leaves you looking dewy and fresh.I needed three full pumps for all my face/neck and you will certainly need to use a good concealer for those face monsters you want to cover. It feels very gentle and light on the skin. Application, best way to apply it is with your hands or the beauty blender or just a standard make up sponge so you can blend it into your skin properly. I found the brush to be too harsh for the foundation and it was leaving brush strokes. The product details say that it improves the skin, and if it does all well and good. However we all know that good cleansing routines are the best for the skin there is no easy way out. All in all I am very pleased about this product, for the price you are getting a very good efficient product. Good for teenagers wanting to start off with a light weight foundation that won’t sink heavily into your skin and great for a dewy fresh look for young adults .